Air conditioning units do a great job of keeping your home comfortable, but they need a little TLC too. Below are some accessories to keep your unit running optimally all summer. 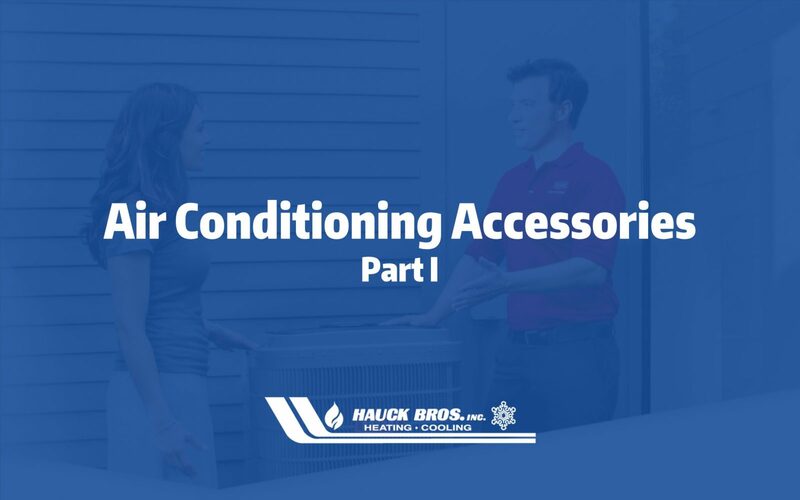 The air conditioning condenser vibrates with continual use on the same surface over a period of time, it can sink into the ground or cause damage to the unit. That is why everyone needs a good AC condenser pad to help support and contain the unit over time This expensive piece of equipment needs to be properly supported. To help the unit survive harsh winters or summers a quality waterproof pad is essential. Condensers also accumulate water as it does its job making them weigh even more. This can put significant strain on the lines and tubes that run underneath the unit. It is crucial that the unit stay dry as well as level to extend the equipment’s lifespan and functionality. Hauck Brothers offers concrete or composite pads. Units installed on concrete pads are solidly anchored on a waterproof base. Water drains easily through vents on the bottom of the unit. Early condensers were installed on several inches of concrete to support their large size. Cement is still a favorite pad for large-capacity units. Composite , As units decreased in size, new materials were developed using green materials. These pads are inexpensive enough that homeowners can purchase new bases when new units are installed. Newer pads, formed of recycled plastic formed into pads sized to fit standard bases, are UV stable, rendering them impervious to sunlight and rain that turn most plastics brittle. Engineered, ribbed surfaces, distribute weight and cushion against vibration. While air conditioners and heat pumps may be ideal for cleaning the air in our houses and cooling or heating it, some compressors are extremely noisy. If your compressor is waking you in the middle of the night when it comes on, there is a way to reduce that noise up to 40 percent or more. Installing a compressor sound blanket can be a quick solution for air conditioner and heat pump compressors that have an unacceptable noise level. These blankets do not diminish compressor effectiveness or harm them in any way. The high-pressure switch will kill the compressor circuit if the pressure exceeds the rating on the pressure switch. The ratings will vary depending on the type of refrigerant the air conditioner or heat pump uses the system. The low-pressure switch is typically an automatic reset switch that will reset itself when the pressure on the low-pressure side of the refrigeration systems returns to normal or above the setting on the switch. When a refrigeration system operates at lower than normal pressures the system can freeze up with the freezing beginning at the evaporator coil and working its way back to the compressor via the suction line. Freezing of the refrigeration system is bad and lead to liquid refrigerant slugging in the compressor which can lead to compressor failure. Want to be sure your air conditioner is running the best it can? Schedule a consultation with our certified technicians today! The lineset is made of copper piping that carries refrigerant from the condenser outside to the evaporator coil inside, then back again. It consists of a smaller liquid line for high-pressure liquid refrigerant, and a larger suction line for hot, low-pressure gaseous refrigerant. 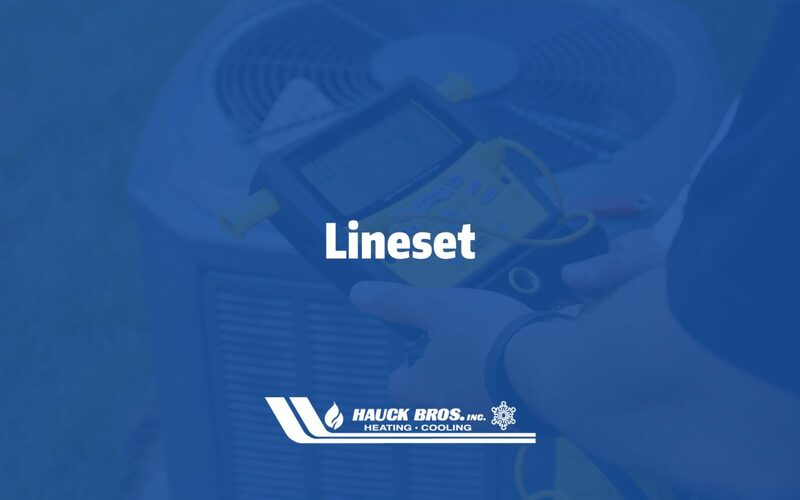 The lineset for an HVAC system is closed to prevent refrigerant from entering or leaving the system at any point, unless there is a leak or the pressures are being adjusted by a qualified service technician. Have a certified professional verify that it was not leaking. The manufacturer of the new unit allows that size lineset per specifications and it doesn’t exceed their vertical distance. It may run somewhere hard to access such as walls and slabs. If the old lineset is to be used, it needs to be cleaned out by a professional. Replace – If the old line had a leak, possibly if it used R-22, is kinked anywhere, and if the vertical limit exceeds the manufacturers specification, a new lineset is needed. It is important to make sure that the lineset is insulated and secured in a fashion that will not allow it to be moved easily. For the exterior of the house, products can be used to cover the lineset that make it blend in to the house. It is good to visually inspect the lineset insulation outside to make sure it is secure and well maintained throughout the course of the year. Cover up the lineset to protect from elements. Have any questions about your air conditioning unit? Contact us today! 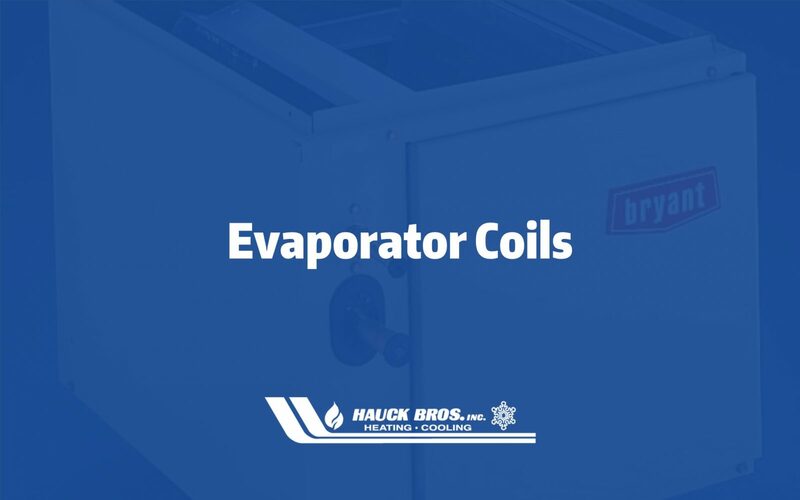 An evaporator coil is the part of an air conditioner or heat pump that absorbs the heat from the air in your house. It is located inside the air handler or attached to the furnace. With a heat pump, the process reverses in the winter and the evaporator coil expels heat from the refrigerant into your home, instead of absorbing it and taking it outdoors. Most heat pumps have auxiliary heating elements that are part of the evaporator coil components to supply heat when temperatures fall below a certain point. A-Coils – Shaped like an A, produce better airflow which allows for the most efficient airflow allowing for high efficiency ratings. N-Coils – Shaped like an N, are more compact than A-coils and are better suited for tighter applications. Slab Coil – When the coil has to be installed horizontally, these are preferred. ENVIRONMENTALLY SOUND, ENERGY-EFFICIENT – Bryant® Preferred™ Series aluminum evaporator coils are designed for use with Puron® refrigerant to provide years of environmentally sound, trouble-free performance. ENHANCED COMFORT – Our Thermostatic Expansion Valve (TXV) ensures proper refrigerant flow during fluctuating pressures and conditions for top reliability and energy-efficient operation. DURABILITY AND DRAINAGE – Our base pan is made of a corrosion-resistant composite material. Integrated sloped drainage helps reduce build-up of mold, bacteria and other airborne pollutants. LONGER LIFE – Bryant advancements in aluminum manufacturing technology result in higher product reliability. What system is best for you and your family? Contact us for a consultation today or call 937-325-0636! Dehumidifiers help remove moisture from the air much more quickly than your home’s air conditioning unit. Together, the two work in concert to create the most comfortable environment for you and your family. Following is important information for determining whether a dehumidifier would be appropriate for your home. 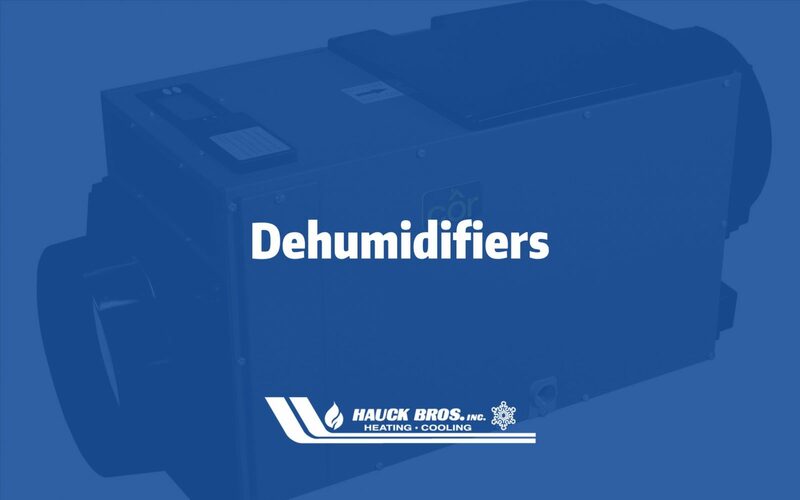 Dehumidifiers control the humidity level in your entire home. A powerful blower inside the dehumidifier draws air into the cabinet, filters the air and removes moisture, then discharges the dry air into the HVAC system or dedicated area of the home. Inside the cabinet, a sealed refrigeration system removes moisture by moving the air through a series of tubes and fins that are kept colder than the dew point of the incoming air. “Dew point” refers to the temperature at which moisture in the air will condense, much like what occurs on the outside of a cold glass on a hot summer day. The condensed moisture drips into the dehumidifier drain pan to a drain tube routed to the nearest floor drain or condensation pump. Once the moisture is removed, the air moves through a second coil where it is reheated before being sent back into the home. The air leaving the dehumidifier will be warmer and drier than the air entering the dehumidifier. Excess humidity in your home can wreak havoc on your indoor air quality and your furnishings. By pulling moisture from the indoor air, the whole home dehumidifier not only enhances your comfort but protects your furnishings and enhances the quality of the air that you breathe every day. When first installed, our recommendation is to set it to 55% and then adjust from there to your optimal comfort level. With a Quiet Comfort system, the precision-tuned fan and motor quietly and efficiently pull air into the dehumidifier with sound levels comparable to most furnaces and fan coils. Easy, Versatile Control – The on-board LCD control provides a user-friendly interface for setting your desired dehumidification levels. For even greater convenience, the whole-home dehumidifier can be controlled with a relative humidity thermostat or from an available remote control. Maintenance and Cleaning – Because routine filter cleaning ensures top performance, the dehumidifier control features a built-in “clean filter” reminder. A convenient access door on two sides of the cabinet allows for quick and easy removal and cleaning of the Merv 8 filter. Customized to your needs – Available in 70 or 95 pint sizes, this dehumidifier offers versatility to fit your comfort needs. It can be zoned to provide separate humidity control for two areas. It can also be installed in multiple configurations and locations. The energy efficiency of dehumidifiers is measured by its energy factor, in liters of water removed per kilowatt-hour (kWh) of energy consumed or L/kWh. In general, a higher energy factor means a more efficient dehumidifier. Some dehumidifiers models qualify for the ENERGY STAR label, which they were first able to do in January of 2001. Dehumidifiers that have earned the ENERGY STAR are nearly 30% more efficient than non-certified models. To keep your dehumidifier running optimally, be sure to change filter, check the drain for blockages, and apply cleaner to a clean, dry cloth to clean the cabinet. Want to find out if a dehumidifier is right for your home? Give us a call today!